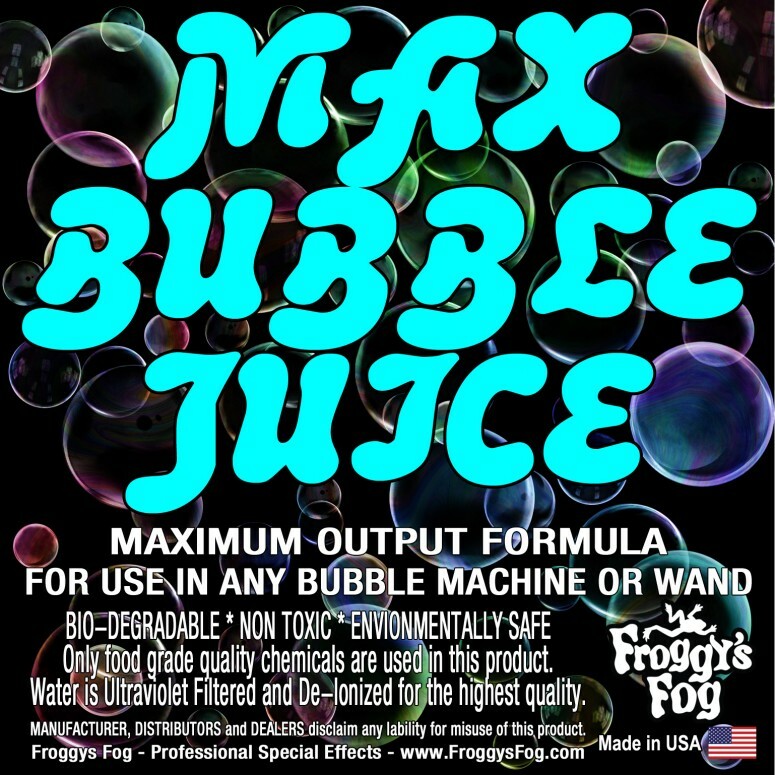 Froggys MAX Bubble Fluid - 10x the Bubbles from Ordinary Machines. 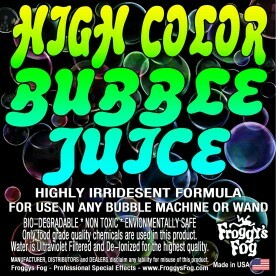 Specially formulated for use in Bubble Machines, High-flying bubbles, Non staining, Non toxic. 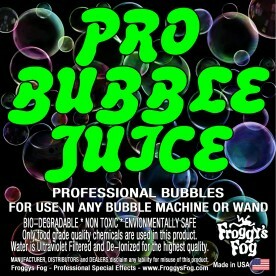 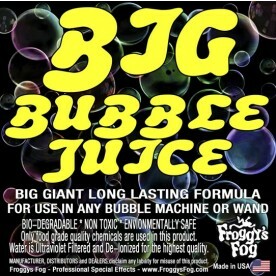 Froggys Fog bubble fluids are designed and tested to provide exceptional output from bubble machines.